Maybe you want all of the above. It's totally achievable. We just need to figure out the right mix for you. I Realized I Wanted To Be My Own Boss. And that I can be. I was miserable in my job and I felt stuck. I fell into my career when I was young and worked my way up the ladder to become a VP (while probably shaving years off my life). I couldn’t figure out what my skills translated to, or what other jobs are out were for me. I told myself I could leave in a year if I ended up unhappy, yet nearly 2 years deep there I was – in tears on my way to work probably 3 out of 5 days each week. I wanted a change but I was stuck in the same circular conversation with my friends and family about being miserable and not knowing what to do. Each coaching call with Caroline was amazing. She would talk me down off the ledge and assure me I was right where I needed to be – and instantly I felt better. I also walked away with an actionable step that helped me move forward, and feel like I was in fact progressing. I realized I want to be my own boss. And that I can be. So, I’m going through the yoga teacher training program, and I’m starting my own company. I’m doing it on my own terms, and in my own way which is going to be pretty unique for my industry. And, I’ll be working from home – and working less. I can’t say enough great things about Caroline. She’s a fantastic coach, but also an amazing therapist😊. In all seriousness, I never felt silly for being freaked out, scared, disorganized - you name it. Her approach always made me feel encouraged, and brave enough to keep pushing forward. I had suffered a work related breakdown and wanted out of there. I hadn’t enjoyed my job for a long time, in fact I never really enjoyed it. I fell in to it, and wanted to make money which this job offered me as a graduate. As time went on it got harder and harder to pretend. Coaching helped give me my confidence back. I started to appreciate me through my strengths and know that I am a good fit for something. I also have started to be able to make tough decisions for myself, which I would never have done before. I also now have a feel for what I really want and a plan to achieve that in the longer term! It gave me the opportunity to focus on myself for a change and establish what I really want from, not only my career, but my whole life. My confidence is really up and I feel like I can achieve my dream lifestyle. Caroline is a great coach. She listens to really understand. She is caring and kind and has supported me through some tough times. She helped me to focus when I needed it the most. She is so easy to get along with and really helps you celebrate your achievements. I really needed that. I don’t just consider Caroline my coach, I truly consider her a friend and I am looking forward to staying in touch with her in the future! I wanted to let you know that I accepted my dream job as COO of [start-up food & travel magazine]. I am honestly so excited!!! The doors this opportunity will open are immense. Plus I know now that I'm absolutely capable of making career changes. Thank you so much for all that you did through this entire process Caroline. You were instrumental in my progress and success. That call where I was nervous and down was an absolute turning point for me. Your enthusiasm, support, and insights inspired me and got me back on track. Thank you. Caroline was instrumental to my progress and success. She helped me cultivate the confidence to navigate my career change, and really refine and tune the process of getting there. Thanks to her, I've landed a great opportunity - which I would have never considered had it not been for her encouragement. I look forward to working with her again, and highly recommend her as a career coach! I highly recommend Caroline as a career coach! She and I had some interesting, thought-provoking & eye-opening conversations when I was feeling stymied by my job search. I wanted to transition to something different, after a hiatus from work. She helped me identify and consider my criteria for a better-fitting role and workplace than I’d had in the past. (That might seem like something we should all know about ourselves, but I wasn’t sure; I’d often made salary and “security” my top priorities — and then hoped for the best.) Caroline helped me, in a step-by-step way, examine my real needs. With understanding, humor, and insight, she encouraged me to go after “different” and offered tips for *how* to do that. I just started a new job that fits my new criteria and will be better fit for me. Let her help you, too! When I met Caroline, I was on the verge of burn out. I didn't feel broadly respected at my current job and was trying to decide whether I would be satisfied moving to a similar role at a competing organization or whether I needed a career overhaul. I reached out for help with my next career step but have uncovered so much more. I realized I was so focused on achieving and being valuable to others, I'd lost touch with my true interests and a deep understanding of the kind of work that would make me happy. Caroline and I started peeling back the layers. Now, I work less and am allowing more of my full self shine through. I have taken back my mornings, negotiated a part-time schedule, and am prioritizing my own health and well-being. I'm loosening my grip on my perfectionistic tendencies. Perhaps most importantly, I've learned that I don't have to settle for a job that tips the balance into the negative. I know I will find something tailor-made for me. As a new mom, I was struggling to balance my personal and professional goals and had resigned myself to the fact that it would just not be possible to be successful in both areas. Caroline challenged me to think outside the box and beyond my self-imposed constraints to clearly define my career goals and implement a strategy to achieve them. Caroline takes the time to understand individuals' needs and motivations before setting forth a plan. She celebrates the uniqueness and individuality of each of her clients--it's definitely not a "one size fits all" approach. She will not only set in motion a plan to optimize your career goals but will also be there cheering you on to the finish line. Caroline is an amazing and perceptive coach – she has the ability to hone in on your personal reservations and gently guide you to changing your perception of them. Under Caroline's guidance I was able to move past mental hang-up's as we worked together to come up with ideas to help me build my network in a more personal way. She is genuine and passionate about her work and her desire for you to succeed is evident. My experience with Caroline made me feel enthusiastic about my career pivot and helped me gain trust in myself to try new things. She is a really great coach who has found her forte. I worked with Caroline to get clarity on how to position myself for new opportunities. Caroline helped me uncover and succinctly articulate the type of work I want to pursue as well as the unique angle I bring. The work we did brought me confidence and clarity, and helps me quickly encapsulate what I'm about when I network. I've gotten great feedback, and am pursuing several paths as a result. When I was confused about the direction of my new business and procrastinating about taking the initial steps to launch it, Caroline helped me identify the obstacles that were blocking me and inspired me to take far more substantial action than I had imagined was possible at the time. But Caroline is more than just an outstanding coach. She brings a level of intelligence and intuition to our conversations that few can match. When I speak with her, I feel like I'm talking to my best self. Likewise, when I'm carrying out the work I map out in our meetings, her challenges and encouragement remain with me, which makes holding myself accountable vastly easier (and more fun) than I have found it to be in the past. As a fellow coach, I hold Caroline in the highest regard and could not recommend her more enthusiastically. With too many pressing priorities, I had neglected spending time to just "be." By not taking time for me, I wasn't able to fully enjoy all the accomplishments I was making elsewhere in my life. Caroline helped me come up with a realistic plan that made me feel at ease and got me on a steady path to finding time to relax and do the things I love. She listens beyond just the words to help uncover and tackle the limitations people put on themselves that get in the way of living the lives they want. I truly enjoyed working with Caroline. She empowers you from Day One; it is a beautiful feeling and really sets the tone in the relationship. She operates with integrity and honesty: she means what she says and she says what she means. She is precise in her ability to understand, synthesize and recap what you think and say. Before I met Caroline, I knew very little about Energy Leadership. 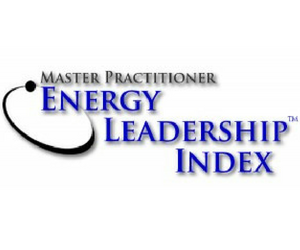 The Energy Leadership Index (ELI) assessment results definitely enhanced my self-awareness of how energy lives within me and manifests in how I view and react to the world. I learned that there is an energetic consequence to my thoughts and feelings and that the words I use often represent how I think or feel about actions, things or people. Caroline is one of those people you wish you had met earlier in your career. I had the pleasure of working for Caroline a short while ago, and now am fortunate to have her as a coach, mentor and friend. Caroline has been instrumental in helping me consider a variety of factors when navigating decisions concerning my career. Her probing techniques have helped me focus on what my career path should be (or what I want it to be), regardless of where my path is taking me today, an important distinction many of us forget as we pursue established goals. I am very lucky to have Caroline in my corner, she comes highly recommended by me. When I met with Caroline, my biggest challenge was devoting enough time to my own business given other personal and professional obligations. I walked away from our first session with a clear strategy that I know I can stick to. Caroline helped me understand the root of the problem and asked questions that ultimately led to an awareness of the inner obstacles that were holding me back. The benefit went far beyond our 60 minutes together--from the pre-session homework to the post-session follow ups, Caroline personalized the session to best fit my needs. If you have goals that might seem out of reach, or just want to be more successful in your career, a conversation with Caroline is a fantastic starting point. Be prepared to walk away with a solid plan and strategy to stay accountable that will make a huge difference. Yang B, Founder, CollegeP2P, Inc. I connected with Caroline as my coach just as I was in career transition and not really clear what was next for me. After facilitating me through some Leadership assessments, we were then able focus on my desires, strengths, opportunities, blockers and importantly how to manage my energy levels to enable me to stay in flow. 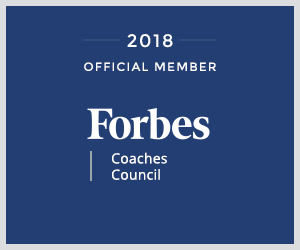 As a result of our work together I was able to secure a new senior IT position as well as re-engineering the shape of my own coaching business. Caroline is focused, challenging, enthusiastic, fun and she helps you to get results. I highly recommend her to other leaders and professionals who need to step forward in their career and life. International corporate environments can sometimes be challenging to navigate, and it is critical to not let the variety of options overpower your personal career vision and goals. Caroline is an outstanding advisor. She helped me succeed by learning and practicing prioritization and negotiation strategies, self-marketing, work/life balance and emotional intelligence. It's hard to imagine a better solution for professional development than career planning with Caroline. Caroline is a stellar coach who is attentive, articulate, and engaged. I was immediately put at ease when she walked me through an Energy Leadership Report with her approachable style and kind demeanor. She led me through the assessment which provided me with great insight on, and awareness to, how I "show up" in life and how I can take positive action going forward. I would recommend her to any potential client without hesitation. I was feeling overwhelmed in my current job due to a heavy workload and long hours. When I had searched for a job in the past, the intensity of working during the day and conducting a job search in the evenings left me feeling fatigued and unmotivated. Caroline helped me find the confidence I needed to begin the job search, and we developed a plan to balance time spent on the job search with time for myself. I now feel happier and more relaxed on the drive home from work, knowing that I will spend time doing activities I love. I have also changed my attitude: while the job search takes work, it is a way to better my life. Caroline was very considerate, compassionate, and action-oriented. She has excellent communication skills and is incredibly focused. I would highly recommend Caroline to others who need help with their career goals. Much thanks to Caroline for her insight, encouragement, and follow up. I have had the honor of working with Caroline Adams - an organized, compassionate and encouraging coach. When we first began working together, I was having difficulty establishing a routine to prioritize key tasks for my business and personal well-being. Caroline helped me find solutions and develop a deeper and broader understanding of myself. She is talented at creating action plans and strategies based on goals and values deftly uncovered in sessions. If you are looking for a coach to move your business and your life forward and achieve real, sustainable growth in a relatively short amount of time, I can confidently and assuredly recommend Caroline Adams. Working with Caroline has taken me from a place of doubt to confidence in my next steps as life coach. As we worked together, Caroline brought powerful questions, encouragement and a gift for getting to the heart of what was keeping me stuck. I came away with a vision that excited me, a plan to act on, and most importantly courage to use my strengths and passion as I pursue my hopes and vision. Caroline put me at ease, was upbeat, and helped me put my best foot forward. I worked with Caroline to figure out the next steps in my career. My company was going through some changes, and I wanted to be well-positioned for the changes as well as take a more proactive approach for my next career move--whether it was a career change or more of a career pivot. Before meeting Caroline, I hadn't invested sufficient time to assess my environment and my own skill set to make sure I was doing the right thing for my career. Caroline gave me practical techniques to get my current work situation under control and coached me through the steps to define where I wanted to go in the future. I liked her methodical approach that forced me to dig deeper to assess my unique strengths and abilities, then connect them to potential opportunities that would be a good match. Caroline was great to work with. During our coaching sessions, she listened beyond the words for what I was really saying and what I was usually struggling with. Her encouragement, nudges and helping me re-learn trusting my own instincts was invaluable. I am beyond grateful to have had the opportunity to work with you. I am consistently amazed at how you are able to pick up on things in my words, tone, and energy levels to help me quickly hone in on the root of those fears, anxieties, or mental barriers. You are amazing!